Want to learn more? Ready to book your appointment? 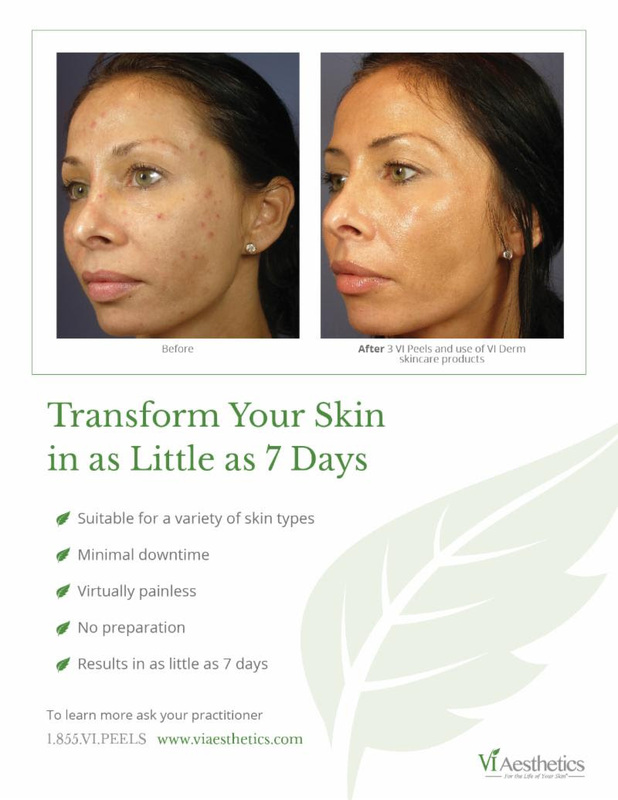 We are pleased to now offer the phenomenal VI Peel at Youthful Balance Medical Center! This chemical peel is virtually painless and results are seen in as little as 7 days. This unique peel is targeted to address anti-aging, hyperpigmentation, sun spots, damaged skin, acne prone skin AND acne scarring. There is no skin preparation and minimal downtime. We also will provide you with a take home kit of essential products to ensure your treatment's optimal and lasting success.